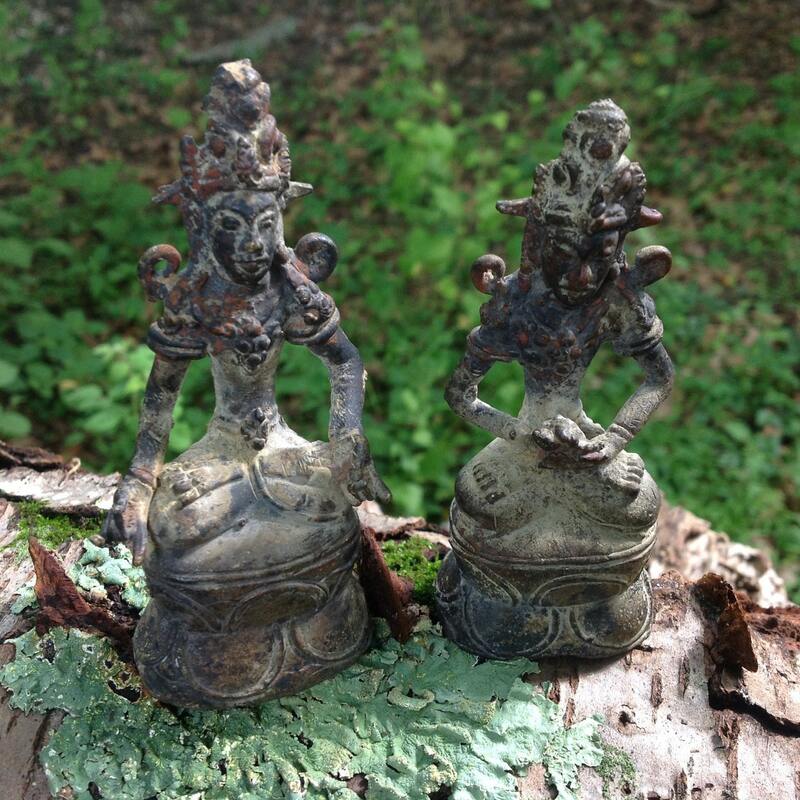 Pair of Javanese bronze Buddhas in padmasana (double lotus position) on a classic Southeast Asian plinth. One of these is seated in the karana mudra position, a hand position that is traditionally seen as warding of evil or ill health. The other is in the dhyana mudra which is the position of meditation and attainment of enlightenment. This Buddha is possibly holding something. These two may have been a part of a larger group of twelve statues at one time. Condition is as you would hope with a deep brick red to deep brown and khaki patina. One of these seems to be missing a small piece at the front bottom of the plinth. This either occurred when it was cast or long long ago. Otherwise no significant bends, cracks, or losses. 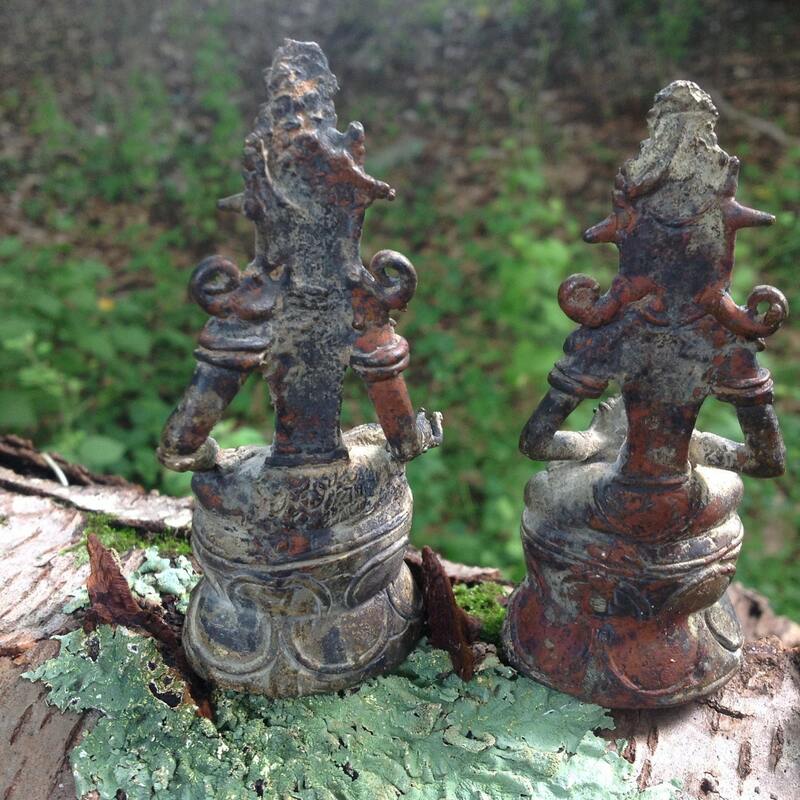 There are residual traces that indicate that these statues were at one time gilded. 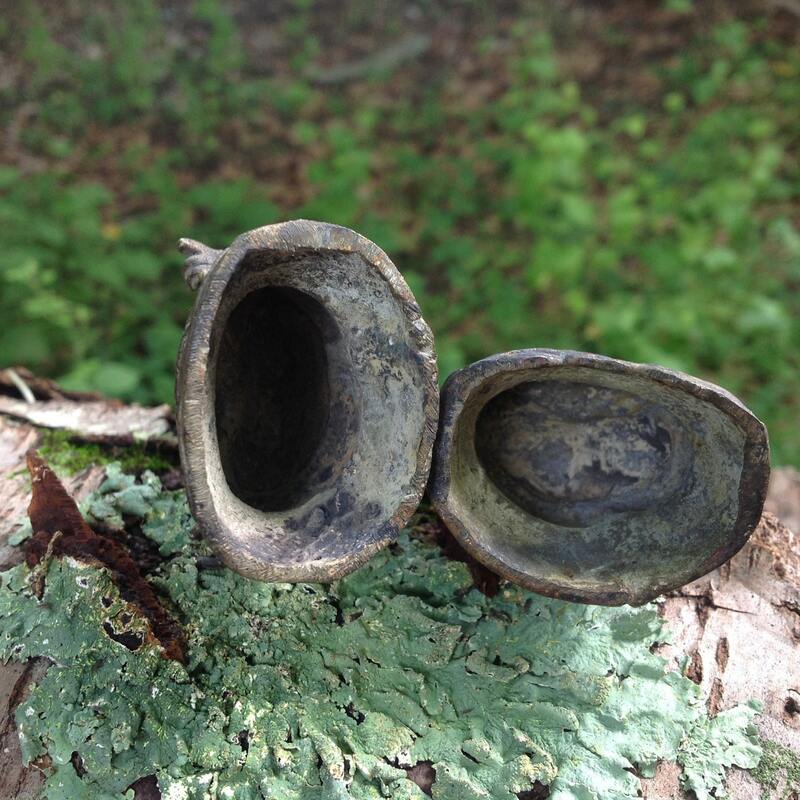 I suspect based on the patina that these are high copper content pieces, potentially indicating that they were imported to Java from yet another undetermined source (this has been described in the literature) . Height is 9.5cm (3.7"). 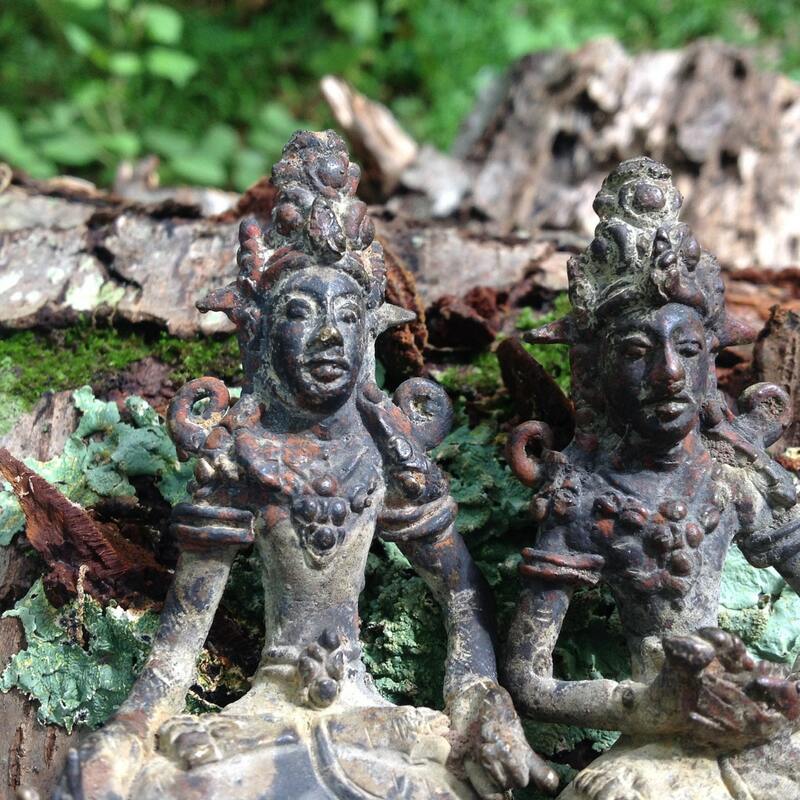 These were acquired from a much larger lot of Javanese bronze artifacts in a Washington DC area estate auction.